Publisher premium WordPress theme is an elegant solution for showcasing and selling your digital goods easily. Publisher allows you to sell your digital products like e-books or digital paintings. Additionally, you can offer native download or links to third party sites, and it comes with an added bonus: E-Junkie support! Woohoo! You can check out a live download of this stellar Templatic release at the end of the post. 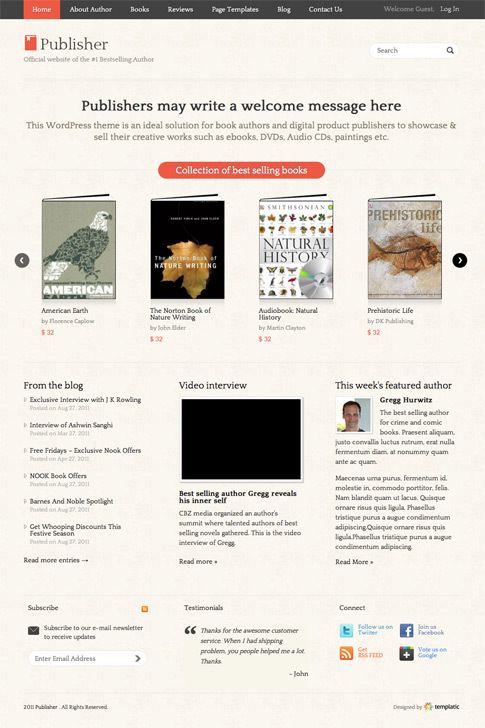 Come back and check out the showcase as we find more sites from around the web using Publisher.